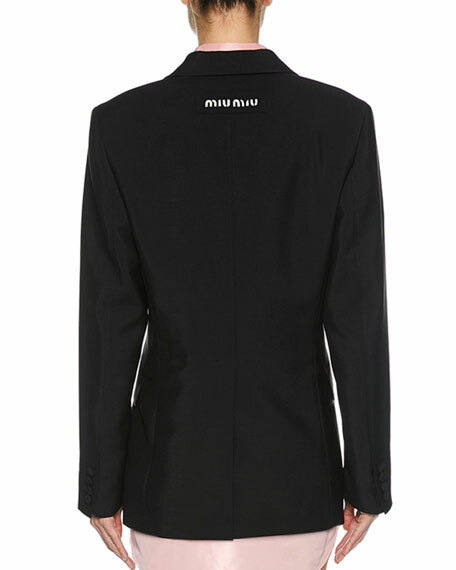 Miu Miu jacket in cotton jersey. Embellished spread collar. Zip front. Chest logo patch. Long sleeves. Side slip pockets. Relaxed fit. Cotton/nylon. Made in Italy. 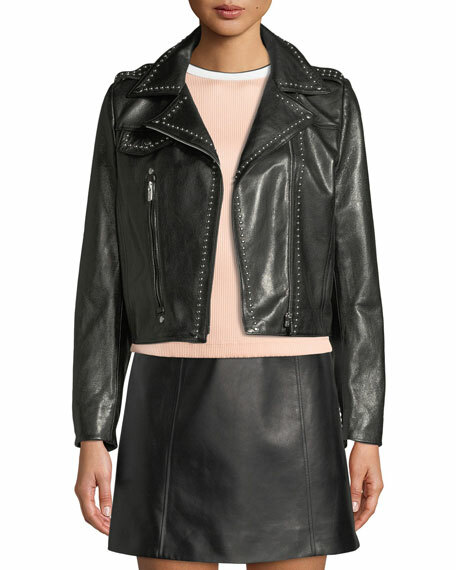 Miu Miu moto jacket in studded lamb leather. 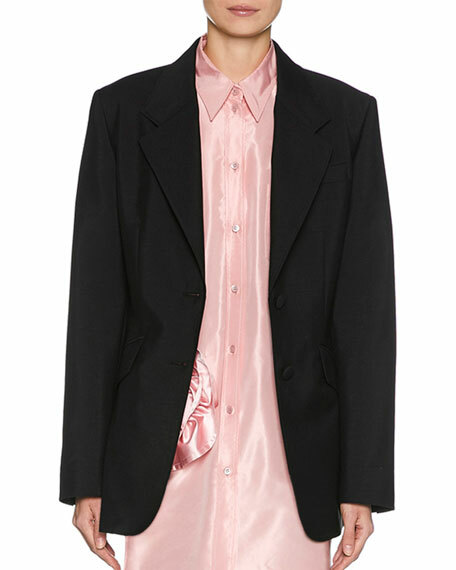 Notched collar; off-center zip front. Long sleeves; zip cuffs. Asymmetric zip detail. Semi-fitted. Star details at back hem. Slightly cropped. Made in Italy.